Starring Stanley Tucci in three roles as Captain Hook, Mr Darling, and Great Ormond Street Hospital surgeon Mr. Wylie. this 2015 Christmas TV special was a major hit with audiences in the UK. 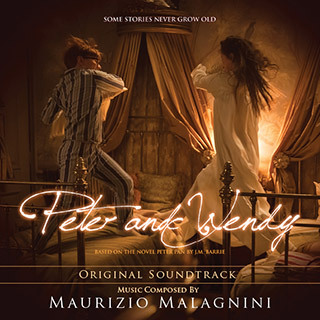 International award-winning composer Maurizio Malagnini (The Paradise, Call The Midwife) burst onto the scene in 2009, bringing to television his cinematic class and stunning melodies through his scores to numerous BBC hits. In demand because of his ability to vary his palette of sounds and styles, each time bringing the audience to the heart of the story, Malagnini’s work on The Paradise (broadcast in 132 territories) has recently been recognized with three Music + Sound Awards and an Emmy Award Nomination. It has been hailed as a ‘masterpiece of musical storytelling.’.